So you want to do a Tarot card reading, but you’ve never picked up a deck of cards before ‘eh? This post is a How-To on getting started with the cards. Literally a step-by-step for your first reading, beautiful soul! 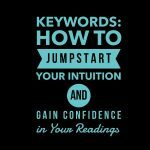 Now even if you’ve already done a few readings, keep reading here, there are some great resources linked up here and a deck interview template I just know you’ll love! You may be interested in learning how to read because you want to work with the cards long-term for self-development, self-empowerment, or to pursue spiritual enlightenment. It could be that you have come across them and want to check them out because they seem fun and exciting, or it could be that you have some pressing questions and just want to try your hand at throwing a few cards and seeing what they add up to! Not to worry, no matter which category you may find yourself, in this post, I’ve got ya covered ;). You’ll also find links to many great blog posts that go deeper on each step or topic we cover. I’ve got your back! The very first thing you will need is a deck of Tarot cards. Find my recommendations here: The 5 Most Popular Choices for Choosing Your First Tarot Deck. In this post, I’ll walk you through the most popular styles of decks, and show you which ones are easiest for beginners. The most important takeaway however, is to get a deck that you love and resonate with (and be certain it is a standard 78 card Tarot deck, not some other card system). Some have an extra card or two and that’s fine. Next, How will you Learn? Before the internet came alive with Tarot goodness, most of us either learned from books, from someone else, or simply by looking at the cards and deriving our own meanings. All of these are perfectly acceptable, and you may choose to do a combination of these! If you are here at this blog, you may already be familiar with the Card Meaning Library. It’s under the heading Card Meanings in the navigation menu, and features all 78 cards by suit. There are meanings for each card for both upright and reversed, as well as Keywords for each card. This is a great starting point, and a great place to come back and reference as you do your readings. How are meanings derived? Individually, and collectively of course! Tarot is very intuitive, so when you turn over a card, you may get an immediate thought or meaning in your head, that is not listed in any book anywhere. That is ok! It’s your intuition responding to this highly pictorial and intuitive oracle. This is what we want! The cards are also full of symbolism. While there are some “standard” meanings for the cards that you will find in books and online, almost all “standard” meanings were at one point someone’s meaning, that became widely accepted over time. Symbols in the cards have meanings, both collectively, and as a personal trigger for you in some way. Don’t be afraid to create your own meanings! The Universe will communicate with you through your cards in whatever way you have set forth. If there is a meaning you feel for a certain card, the Universe will use that card to bring that up to you. So just to be clear, there is no such thing as an incorrect meaning to a card just because you haven’t read it elsewhere. If it feels right for you, use it. The meanings that I use on my site, are meanings that I have derived over time from a variety of sources. I had soooooo many books when I was first learning! It was cumbersome. I started to compile my own list of meaning for each card, and even better, I was able to add to it with my own insights and reflections of how cards were turning up in readings that I was doing as well. Today I’ve taken all of those notes and scribbles and comprised them into the Card Meaning Library. If you want to do a fun, and incredibly insightful little exercise, if you have never looked up Tarot card meanings before, go through your deck and write down the first thing you think of when you see each card. I’ve done this with folks, and it shows how intuitive these cards are. I bet your words will be pretty close to or in line with their “meanings”. When you first get your cards…. Ok so what do you DO, right? You’ve got your cards, you’ve got a few good books, or a good website, or just your own intuition. The good news is, you’ve already got everything you need! Now before we get into how to do a reading, let’s go over a few more basic housekeeping items for good measure, shall we? In this post, The 4 Things you Must Do to Properly Care for your Tarot Deck, we discuss how to Bless your deck, Charge your deck, Personalize it and Store it. If this is the VERY FIRST TIME you are using this deck, you may want to give that a quick read if you think you may want to give your deck a blessing before you read with it! Once you have started doing readings, be sure to also Cleanse and Clear your deck, and you can find my favorite ways to do that, here: 7 Ways to Thoroughly Cleanse Your Tarot Deck. As a side note, if a deck was gifted to you, be sure to give it a good cleansing and clearing and you may want to bless it as well. If this deck is new to you, this is a great time to do a deck interview. I did not invent the following spread, but it seems to be a card-lovin' crowd pleaser! I did create my own simple layout for it and put that together for you in a template along with some tips about how it works! To see the deck interview template laid out, complete with interview questions, just request it below. It’s free! You’ve got your cards ready, you’ve got your resources, and you are all ready to be enlightened! Now what? Well, it’s time to get shuffling! But not just any shuffling…well, actually, YES, ANY kind of shuffling. There are no rules to shuffling. You can shuffle in any manner you like. Go by what works for you. An overhand is fairly common, so long as the particular deck you are working with is not too big for your hands. I don’t really recommend a bridge shuffle, as that can put a bend in your cards. You can however just lay them on the table and swirl them all around with your hands if you like! One thing to be mindful of is whether or not you will read cards reversed. You may already know the answer to this or you may be wondering what I’m even talking about! Read all about reversed cards here: To Reverse or Not to Reverse?. The reason I bring this up, is because you will need to make sure that you are randomly turning some cards as you shuffle every so often if you plan to read reversed cards as well. This gives them an opportunity to get reversed (or turned right side back up again) with each new reading. Even if you think you will not want to attempt that now, give the post a read, you may surprise yourself! So you’ve got a question right? No? Well, you don’t technically NEED a question, BUT, it is a lot easier to get an ANSWER, if you have asked a QUESTION, right? Especially in the beginning, the whole “general information” idea can be very overwhelming. Does that card about abundance refer to my love life or finances?? Make it easy on yourself and ask a clear question ;). *Have a clear question in mind. Good, clear questions beget good, clear answers. *Don’t ask a third party question. It’s like psychic snooping. If it’s not about you, or about someone that asked you to read for them, it’s probably not a good idea. Besides the whole concept of integrity, the reading often comes out muddled because there is usually something affecting the situation that you don’t know about, thereby muddling the answer for you. *Yes/No questions are both limiting and counter-productive. Instead of asking for a Yes or a No, ask what actions you can take to lead you to where you want to go, or what the circumstances are that you need to be aware of surrounding the situation ect ect. *Have a reasonable time frame in mind. The future is static and changes based on the decisions we make every day. Choose a specific time frame, and to be realistic, try to stay within 6 months max. I recommend short time frames in the beginning so you can validate the outcome against your reading. **As a note of caution, if you decide to try your readings out on others, be certain that you do not offer medical, legal, or financial advice unless you are licensed in one of those professions to do so. In this post, 7 Questions to Never Ask a Tarot Card Reader, I go over the biggest questions not to ask (even yourself really!) and why these common offenders are on the list. There is a reason we either can’t or shouldn’t, answer them. Time to sling some cards! Now that you have your question in mind, clear your mind of anything else and just focus on your question while you shuffle the cards. Shuffle until you feel the time is right, there is no pre-set time! Think of your question intently while you shuffle, visualize your question and energy pouring into your cards. Remember to turn some if you will be reading reversals. When you feel you have shuffled the right amount, it is time to cut the cards. I do a standard cut, just once. Some people will cut the deck into three piles and lay them out, then hover their hand gently over each pile, sensing which is the right pile to choose. You are feeling for a tingly sensation, warmth, a bit of a prickly feeling or excitability. Something that tells you THIS is the right pile. This is completely up to you, do what feels right. Now that you have cut and reassembled your deck, you are ready to draw your cards. I take the top card, or cards, depending on how many I am using in my card reading spread. I just deal them out into their respective positions starting with card number 1 going through to whatever my total number is. A spread, is simply the collection of cards, in a specific pattern or not, that you lay down on the table face down to read, and generally they are read in a specific pattern. In the beginning, (and anytime really!) it’s perfectly fine to use just one card. There is a wealth of knowledge in every card to discover. Read my article on the power of a one-card reading here: How to Answer Any Question with Just One Card. If you choose to use more than one card, there is an entire plethora of 3-card readings available on the interwebs, with the most common being the past, present, future spread. Rather than just pulling some cards and interpreting their individual meanings or by combining them, in a spread, each card you lay down is in a specific position within a pattern that has its own meaning assigned to it. Like the 3 card spread above, Card 1 represents the past, Card 2, the present, and Card 3 obviously, the future. The advantage of having a spread, especially in the beginning, is that it gives you specific parameters. 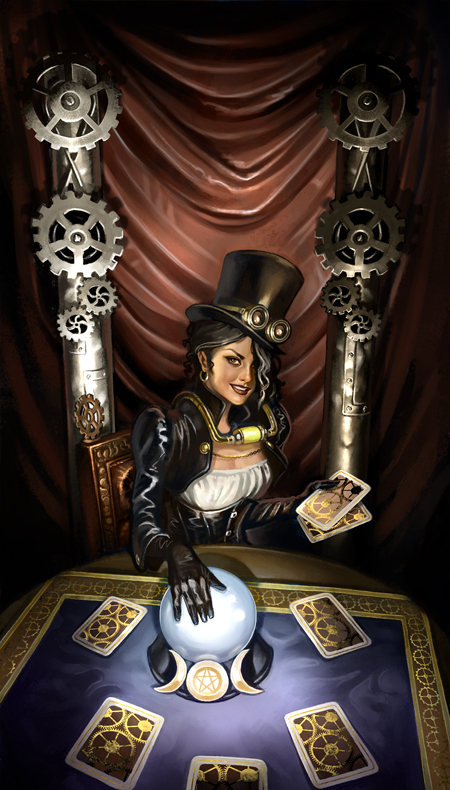 You are able to interpret a card within a specific context. For example, this particular position in the spread is the Current Situation, the card that falls in this next position represents the Obstacle ect. Because we as people, love to have these parameters, as they make things easier for us, we tend to gravitate to the Celtic Cross Spread rather quickly, as it covers all the bases and has these very specific positions. We assume it is THE SPREAD that everyone is doing, after all it’s so common and the first one everyone thinks of right? Well hold up there, friend! I can’t let you go off the deep end yet. A key component of a reading is blending all of the cards to find the cohesive meaning that runs through it, rather than just a cookie cutter approach of interpreting each card in its position by itself. This will come. It’s really hard not to feel overwhelmed in the beginning with the Celtic Cross. You get a lot of info, finding the story through it is all but impossible, and some of the positions make it hard to understand or differentiate. What exactly is “my ideals”, or the difference between the “deep past and recent past exactly”? In the very, very beginning, a 1 card or 3 card reading is MORE than enough to get you thinking and finding answers. But it’s tempting to have your problem identified and your advice given with multiple cards, so in this case, if you choose to try your hand at these types of spreads, my 5 Card Mini Celtic Cross Spread is just the right option. It only has half the cards, but all of the pertinent info. You’ll find a free diagram and example of it inside of this post, Why The Celtic Cross is Not For Beginners and What To Use Instead. You Laid Out Your Cards, Now What? I know, you are looking up meanings, and looking for the meaning in YOUR life! And how hard that can be, when reading for ourselves, because we are biased, jaded and definitely have a preference for the outcome of whatever we asked! Ask yourself if it feels right in your heart. I OFTEN do a reading, let it sit and percolate, and come back to it over a few days. You’d be shocked, as a reading first makes NO SENSE, but later, makes perfect sense, and I think there couldn’t be any more perfect cards. It needs to seep into my unconscious and subconscious mind and do its work there. Keeping a tarot journal is a commonly recommended practice, and for good reason. As circumstances evolve, you can go back and revisit the reading with new information as time goes on to evaluate your accuracy, as well as to create your own meanings for certain cards based on how it played out in your own experience. This is so awesome! Just record your question, your spread layout with positions noted, and what cards you received. You can add your interpretation and leave space for another later. Go with questions that have short term outcomes so you can get feedback from circumstances as often as possible. Record any new interpretations at a later date, say 30 days or 6 months later (whatever is fitting in your situation) in red pen to show its a second entry. Be patient with yourself. Give your intuition a chance before reaching for a resource. You'd be surprised at what our subconscious knows. In the early days still, it can be a lot of cookie cutter interpretations. But as your time with the cards grows, your understanding of them will also deepen. You will make associations, you will look for patterns, you will learn to tell stories, and to find the stories that the cards are telling you, thorough their colors, symbolism, numbers, astrological correlations, elements, and so many other beautiful ways the Universe will communicate with you. If you want a few Reading Tips from other’s in the Tarot Liza Community, go to the Top 10 Tips for Beginning Readers. All of the tips are from other Tarot Goddesses and I have to say I absolutely love them and feel a deep sense of calm when I read them :). If YOU are a beginner reader, we’re happy to “meet” you here on the Tarot Liza blog! 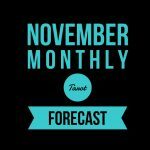 There are plenty of posts to get you going, a very in-depth Card Meaning Library, and even a great community going in the facebook group, Tarot for the Modern Reader, we’d love to have you! We’re also very social so if you are on Instagram, come over to say hi at @tarotliza and like us on facebook at Tarot Liza to see our latest updates. Welcome to the world of Tarot! We are a very tight-knit and awesome community :). Don’t forget to grab your deck interview spread template and questions, this is a GREAT first reading! Xoxo! Sound off below! Do you feel ready to do your first reading? What else do you need to know? Did you like this content and find it useful? If so, please help us spread the word by spreading the (social) love! We'd LOVE it if you'd Like and Share below! Tweetable: "Epic Post: Beginner's Guide to Reading Tarot!"